Offering a wide range of innovative and technologically advanced compressed air solutions for all kinds of applications, ELGi is a leading manufacturer of air compressors based in the south Indian city of Coimbatore. The company has made a name for itself in various sectors such as the food and beverage, construction, pharmaceutical and textile industries. Its success is mainly down to its bespoke, sustainable compressed air solutions that help customers boost productivity while driving down overall operating costs. 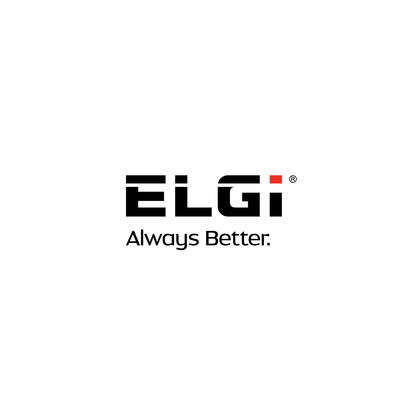 ELGi’s portfolio currently boasts more than 400 products – from oil-lubricated and oil-free screw compressors, centrifugal and piston compressors right through to dryers, filters and downstream accessories - which are all made at its cutting-edge production sites in India, Italy and the United States. The manufacturer is now at HANNOVER MESSE 2019 to showcase its recently launched oil-free (OF) screw compressors - a disruptive technology that is poised to revolutionize the industrial world as we know it. These compressors are said to constitute a quantum leap in terms of development and performance, with each of their components embodying reliability and simple maintenance. This is down to the optimized component layout of the OF series, which is designed to make light work of maintenance while speeding up servicing. "Although they haven't penetrated the market as much as lubricated screw compressors yet, oil-free compressors are becoming increasingly important mainly because they’re eco-friendly," explains Anvar Jay Varadaraj, Global Head of Marketing & Corporate Communications at ELGi. "In conventional oil-filled compressors, oil acts as a lubricant, sealant and coolant. The air expelled therefore contains traces of oil, which is ultimately unacceptable in sensitive sectors such as the foodstuff, beverage and pharmaceutical industries. As the name suggests, our oil-free compressors produce oil-free air because there's no oil in their compression chamber. We persistently strive to achieve a greater level of perfection for all our products, and we are looking forward to hearing feedback from users and partners at HANNOVER MESSE 2019."